Archive by category "CRE News"
Providing quality Christian artists for your church event – that’s the thinking behind CRE 2018 exhibitor Ministry of Music. ‘School missions, worship services, youth outreach, café churches, conferences, festivals and training workshops/seminars. We do the lot!’ said founder Mike Maidment. 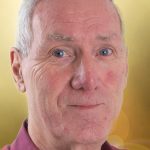 With more than 20 years’ experience in Christian music and events, Mike is in an ideal position to work alongside artists and event organisers. He is supported by an experienced team including bookings manager Kim Dopson, an artist review team and a group of trustees. To date they have facilitated more than 450 Christian events. 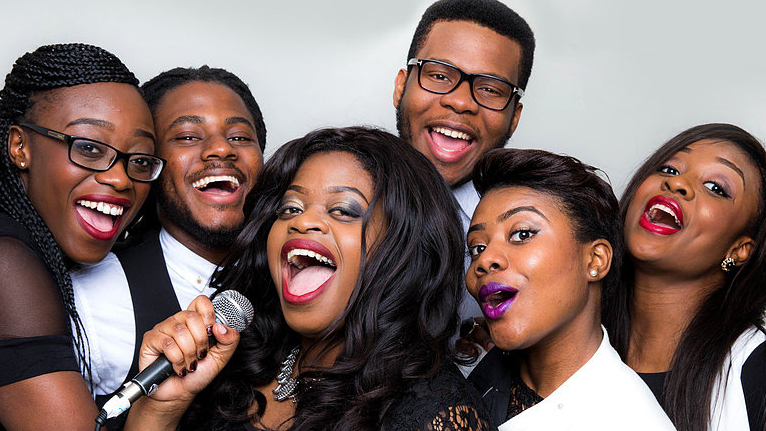 Mike will bring a number of artists to CRE 2018, to perform in Cindy’s Bar, including Bean Baker, Rebekah Vyce and Voices Beyond (pictured). Joining them on their stand will be Bryn Haworth, a singer-songwriter with a distinguished history as a recording and live artist. Bryn also has a special ministry to people in prison, having recorded two albums specially for prisoners – Time Out and Inside Out. A feeding of 5000 at Kempton Park Racecourse will be just one event during next week’s first-ever National Weekend of Invitation (Fri 15 to Sun 17 Jun 2018). Many churches are already preparing for the weekend. On the evening of Fri 15 Jun, a team from St Saviour’s, Sunbury-on-Thames will knock on doors, offering to pray for people and inviting them to a special service on Sun 17 Jun, called Joy@KemptonPark. Free resources offering churches special advice on the initiative are available at the National Weekend of Invitation website. 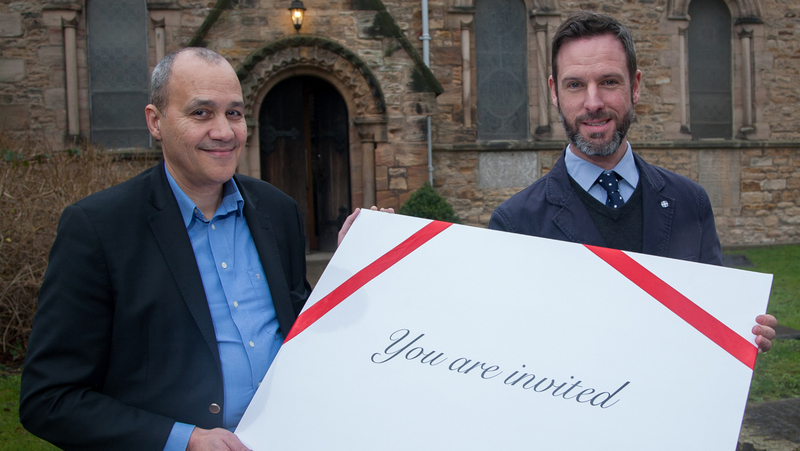 ‘Over the years we have discovered that about seven out of 10 Christians feel God may be prompting them to invite someone to church,’ said Michael Harvey, who will be introducing the National Weekend of Invitation to visitors at CRE 2018. What do you talk about with non-Christian friends? The latest box set on Netflix? Contestants on the latest TV talent show? The weather report? For most of us, it’s easy to find something trivial to provoke a conversation – but our faith is a different matter. The Ugly Duckling Company provide a number of creative ways to stimulate meaningful ‘Jesus’ conversations in contemporary culture. 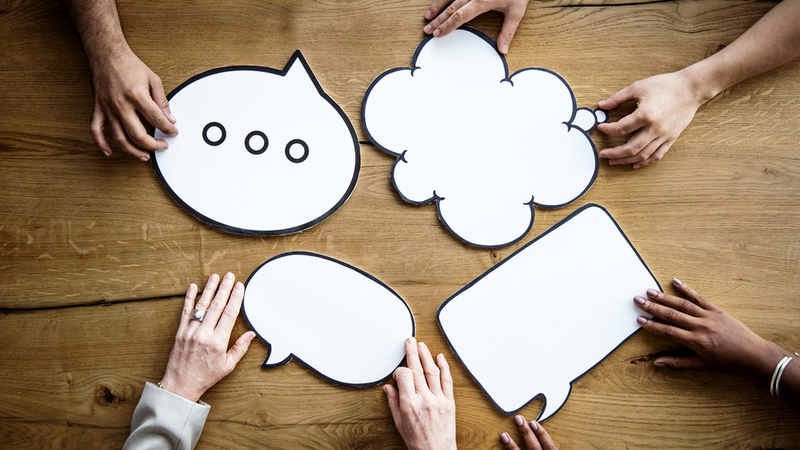 Table Talk is one such resource – a conversational game which creates space to explore the big (and not-so-big) questions of life, articulate your thoughts and discuss ideas meaningfully with others. 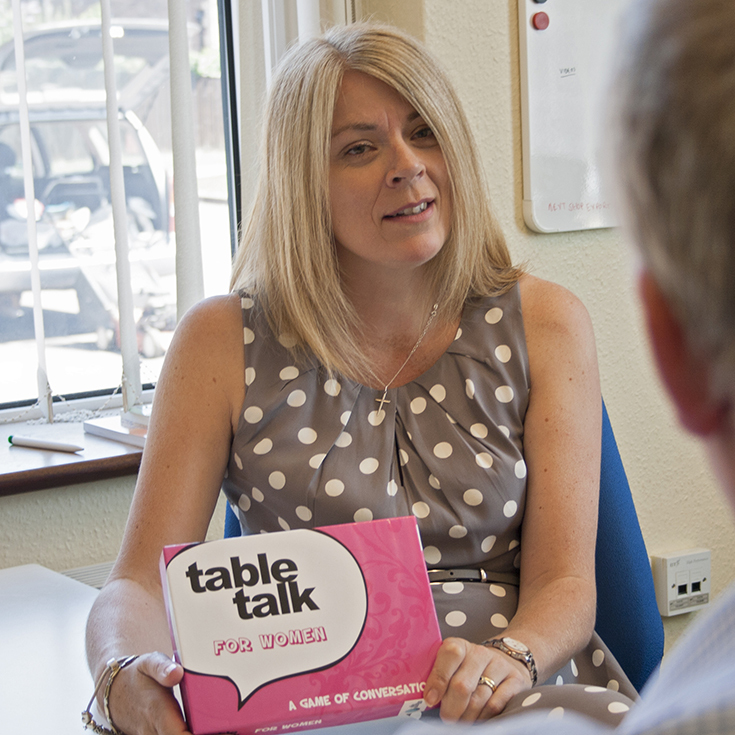 A variety of Table Talk packs are available, targeting a variety of users, from youth and children to third agers. In addition, you will find a series of apps on the Apple App Store and Google Play Store. The Bishop of Manchester, The Rt Revd David Walker, has welcomed the return of the Christian Resources Exhibition to Manchester, Event City on 13/14 March 2019. Everything from computers to communion wine, chair manufacturers to children’s charities are expected to be on display at CRE North 2019. A series of seminars, given by both regional and national experts, will cover issues of vital concern to local church leaders and members of all kinds – from parish magazine editors to treasurers, youth workers to worship leaders. 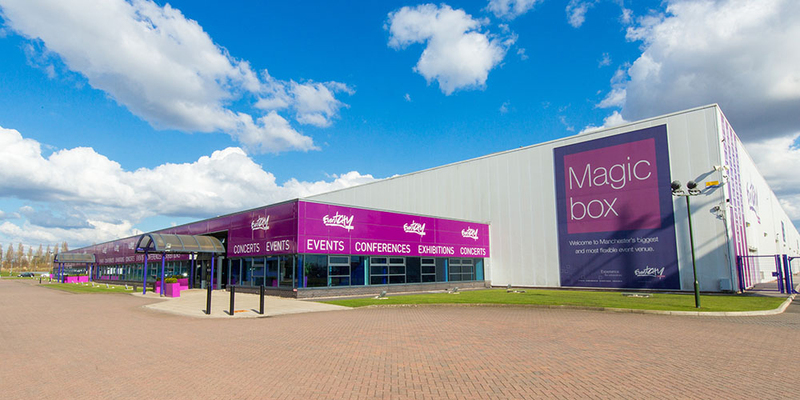 * For more information on booking a stand at CRE North, contact sales director Carol Malpass on 0161 250 2457. A total of 4,061 people (excluding exhibitors and their staff) visited the show during its three days and some 200 exhibitors were so enthusiastic that more than 30 have already booked stands for next year. CRE’s new owner, Steve Goddard, had been its public relations consultant for many years. He and his wife Allison took ownership of the event late last year. They appointed Brett Pitchfork, who had managed the exhibition in the early 2000s, as event director. Based in St Helens on Merseyside, Steve was delighted with response to the first CRE under his control. Terry Waite’s visit was made more emotional by the presence of 59-year-old Andrew Coleman, son of the late Canon John Coleman, whose freedom Terry had negotiated in Iran, prior to his own capture in the Lebanon. ‘It was wonderful to meet Terry again after all he did for my parents,’ said Mr Coleman. Other guests included musicians Bryn Haworth and Jonathan Veira. Some 40 seminars covered subjects like evangelism, social media, sound systems and church building projects. Among the speakers were George Verwer, veteran of world mission, who founded Operation Mobilisation and Steve Clifford, general director of the Evangelical Alliance. While one in four of the visitors to CRE came from Surrey, and more than one in ten from London, others came from all over the UK including Cornwall and the Scottish Highlands. Three people travelled to Sandown Park from Japan. Most traditional denominations were represented on the visitors list with 43 per cent belonging to Anglican churches and 16 per cent to Baptist churches. 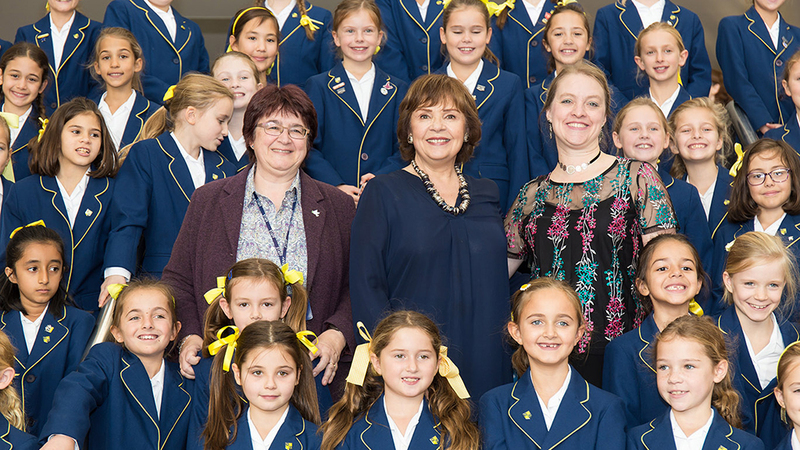 It will be Dana’s turn to be serenaded when Cobham’s Notre Dame School: Bordeaux and Lestonnac Choirs (pictured) sing a new version of her famous Eurovision-winning song ‘All Kinds of Everything’ at Sandown Park next week (9.45am, Tue 17 Oct). ‘The pupils are learning a whole new ecclesiastical vocabulary that includes “chasubles” and “thuribles” – all part of a well-rounded education!’ said exhibition owner Steve Goddard. ‘I am happy and honoured to cut the ribbon on this wonderful exhibition,’ said Dana, Ireland’s first winner of the Eurovision Song Contest. As an 18-year-old schoolgirl in 1970 she was the last of 12 performers to sing before an estimated viewing audience of 200 million. Almost 200 organisations at CRE 2017 will display everything from pulpits to puppets, computers to clergy clothing. Some 40 seminars will cover a range of practical subjects like cyber security and sound systems. Notre Dame School in Cobham is committed to offering an excellent all-round academic education for every individual, whether they be two or 18. With a rich 400 year history and an international living tradition, Notre Dame welcomes families of all faiths. We have a truly committed and dedicated staff, who encourage each child to achieve their full potential. We aim to offer a holistic and personalised education, in a secure and stimulating environment where pupils are encouraged and challenged academically, socially, creatively and in sports, music and drama. Our students are encouraged to treat themselves and each other as valued individuals and to have a responsible and independent attitude towards work and society and contribute willingly to the wider community. We are a school that offers a Christian education, so the principles of welcome, nurture and compassion are evident as you walk through the door. As a Catholic school we are distinctive in our care and love for each individual. This is part of our mission as a faith school where all are welcome, and this ethos stretches worldwide, seeking to bring stability and compassion into an uncertain world. The Prep Music Department at Notre Dame School offers an inclusive, well rounded musical education which educates the whole child. Music is always a practical activity and all skills, knowledge and appreciation are learned through the musical activities of performing, composing and listening. Singing is a natural and fundamental activity accessible to all. 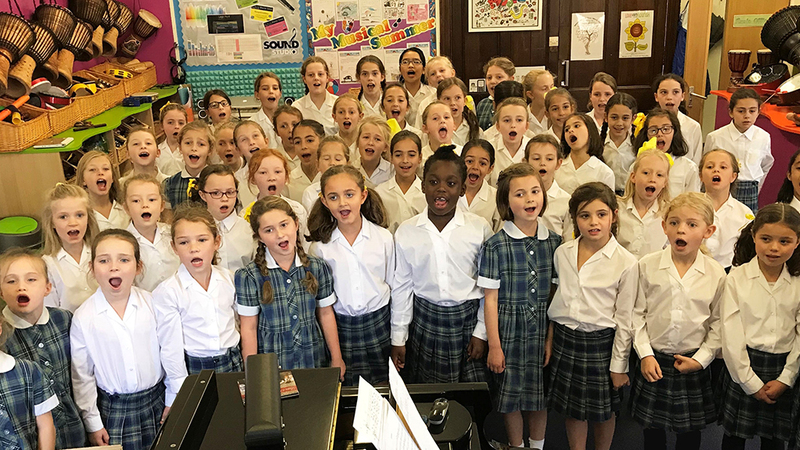 Musical experience in the Prep School is both grounded and spiritual, both individual and communal, and both personally tailored and all embracing. The Lestonnac and Bordeaux Choirs are part of our Junior Music department (ages 7 to 11) and regularly perform in school masses, concerts and services as well as in festivals, care homes and charity concerts. The Christmas card you give to the milkman, accountant, binman or school teacher needs to feature more than dancing penguins. 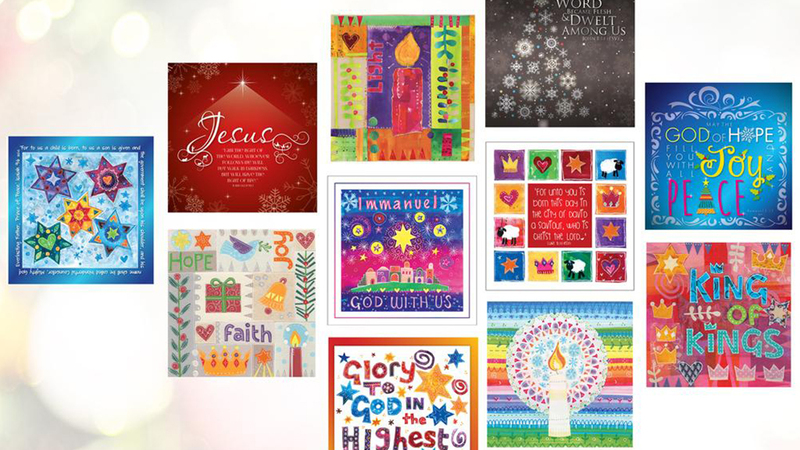 Just Cards Direct will be at CRE 2017 to present a range of cards expressing the true meaning of the season with a verse to encourage and prompt interest in the Christian faith. With matching coasters, mugs and magnets to accompany the designs there are gift sets available, too. 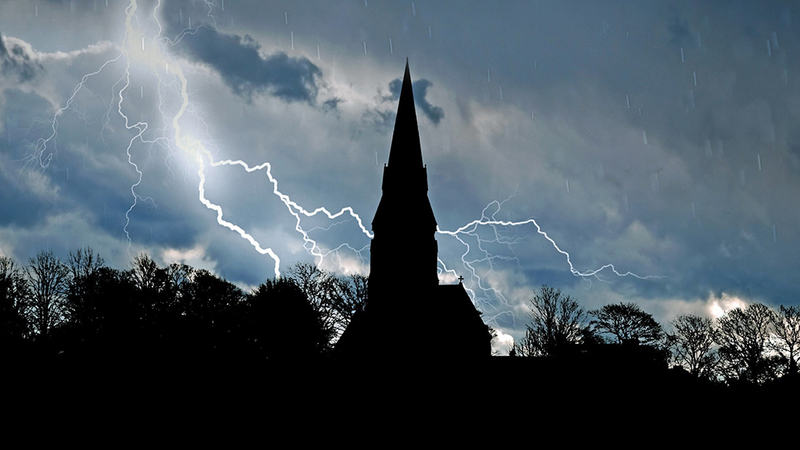 Acts of God: is your church sufficiently insured? Could you church cope with the results of an ‘act of God’ – or being sued by a member of the general public? ‘Churches must consider risks each day and face up to the worst thing that could happen,’ maintains Emma Christian of Bridges Insurance Brokers, who have insured churches for more than 30 years. In one case, a woman slipped over a sunken paving slab in a church car park, injuring her face. Storm damage is another area that shouldn’t be neglected. The leader of yet another church turned up to find a leaking water tank upstairs had caused water to soak through the ceiling into the floor below. More than 700,000 children are regularly hearing Bible stories at school – and you can become part of Open the Book’s next chapter at CRE 2017. 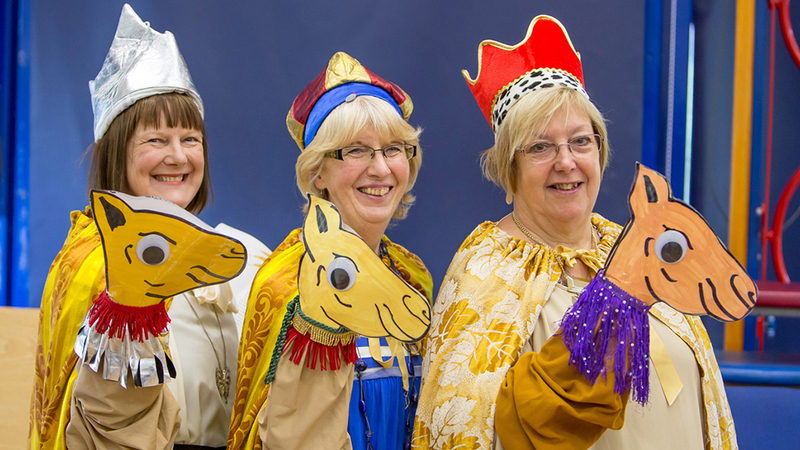 Using props and costumes to re-enact Bible stories during assemblies, some 14,800 volunteers from a variety of local churches currently access about 2600 primary schools. As a result, children are hearing Bible stories, many for the first time. Major people and events are presented – Noah, Daniel and the life of Jesus, for example. The project comes at no charge to schools and often involves children and staff. Part of Bible Society, Open the Book’s vision is to bring the Bible to life to every child in every one of the 18,280 schools in England and Wales – reaching 4.5 million pupils. As an independent charity in its infancy, the organisation took part in its first-ever CRE in 2012. Photo: Linda Russell, Lynn Castillo and Wendy Bird, part of the Open the Book team from St Bartholomew’s, Wednesbury, performing The Wise Men’s Visit at St John’s C of E, Wednesbury. 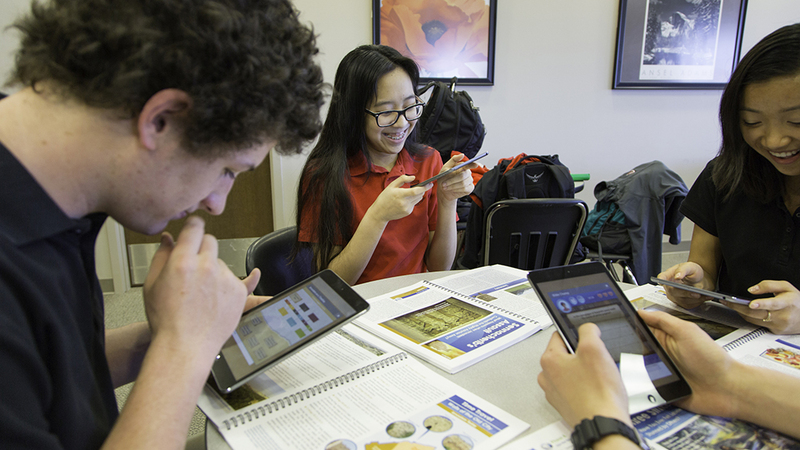 Bible stories bursting into life at a touch on the iPad – that’s what visitors can expect to see at next week’s CRE 2017. Harnessing the latest technology, and developed especially by Museum of the Bible, visitors will see biblical stories dynamically presented as never before. Julia will also lead a seminar at CRE – Religious Education and Technology (3pm, Tue 17 Oct).